Sufjan Stevens’ Carrie & Lowell is an open wound: a son’s musical letter to the dead mother who abandoned him for most of his life. It’s also Stevens’ best work to date, more nakedly emotional than Illinois, less off-putting and aggressive than The Age Of Adz. It landed at number three on our list of the Best Albums Of 2015, beat out only by the raw energy of Kendrick Lamar, and Sleater-Kinney’s enthusiastically greeted return. But while both of those albums are excellent, neither can quite match the thoughtful melancholy that Stevens evokes as he talks his way through every aspect of his mother’s death. Carrie & Lowell ranges from nostalgic (“Eugene”), to self-destructive (“No Shade In The Shadow Of The Cross”) to utterly heartbreaking (the conversation between Stevens and a dying Carrie in “Fourth Of July”), but it reaches its heights when it turns, briefly, to hope. That’s in “The Only Thing,” which might be the most optimistic almost-suicide note ever committed to song. As with the rest of the album, death hovers all over the track, from the first lyrics (“The only thing that keeps me from driving this car, half-light, jack-knife, into the canyon at night”) through to the end. But unlike most of the songs on Carrie & Lowell, here death does not go unanswered. Even as his senses assault him with reminders of his loss (“Should I tear my eyes out now? Everything I see returns to you somehow”), Stevens returns again and again to that “only thing” that keeps him alive: Grace, as seen in nature, and the stars. Stevens abandoned his “50 States Project” as a joke years ago. 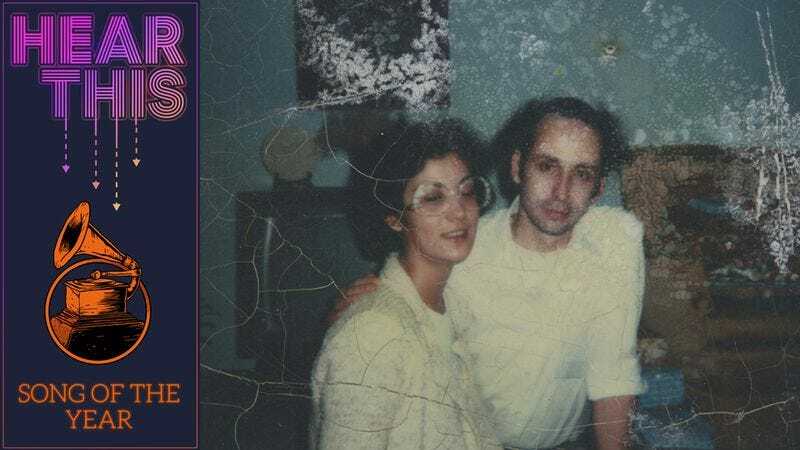 But in its own way, Carrie & Lowell could just as easily be called Oregon: That’s where Stevens spent the most time with his mother, in the home of his stepfather, Lowell Brams, and references to the beauty of the state recur throughout its songs. Most of the verses begin with Stevens toying with suicidal imagery, before natural beauty—the constellation Perseus, the Oregon sea lion caves—draw him away from the edge. These “signs and wonders” brush up against the religious imagery—common in Stevens’ music, and less tinged with questioning anger here than on the rest of the album—that also suffuses the song. And yet, “The Only Thing” is still a song about grief, returning again and again to questions like “Do I care if I survive this?” But it counters these notes of despair—so familiar to those who’ve been touched by death—with the beauty of Stevens’ simple acoustic guitar, which builds in intensity until it finally trills down like a waterfall, washing at least some of the pain away.